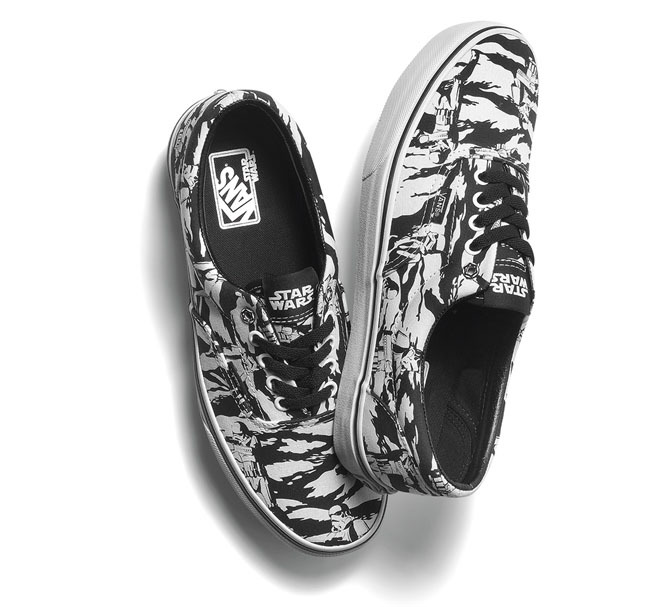 Vans is back with a Star Wars collection paying tribute to the dark side of the Force. 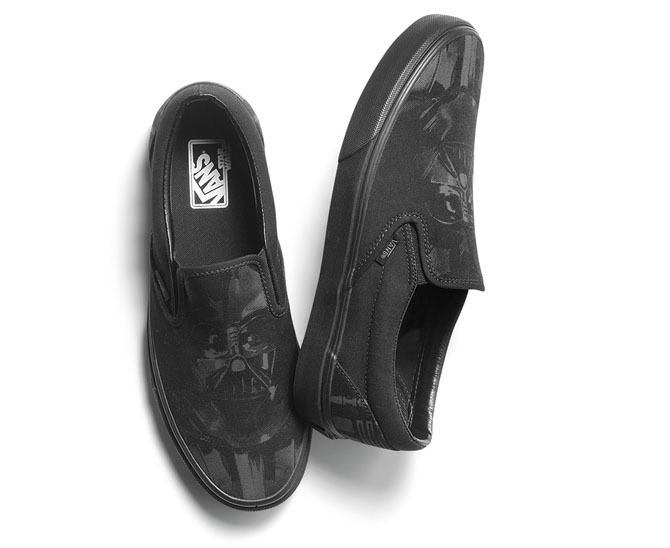 This Fall, Vans and Star Wars are teaming up once again, with a capsule collection inspired by the dark side of the Force. The collaboration includes a full collection of footwear, apparel and accessories, all focusing on the villains of Star Wars. 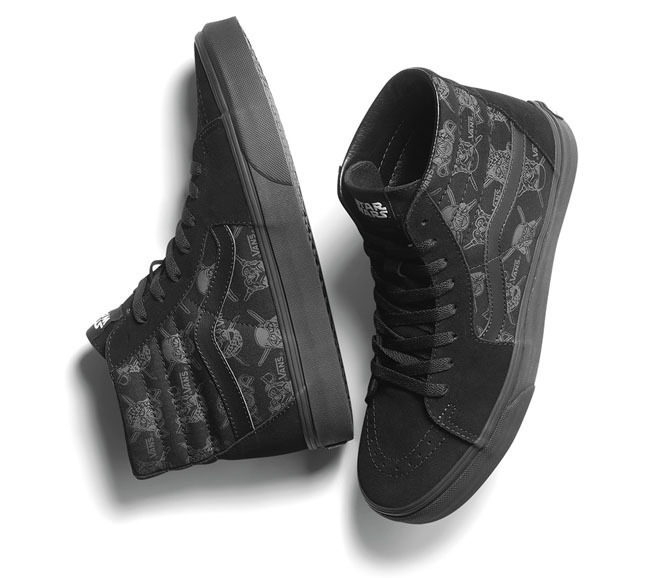 As for the sneakers, you'll find an Era with a camo print made up of Imperial Stormtroopers, a black-on-black Van Doren Pirate print Sk8 Hi featuring Darth Vader and Stormtrooper helmets, a black-on-black Classic Slip-On with a large Darth Vader image, and finally, an Authentic, showcasing scenes of good versus evil, from the ice planet Hoth. 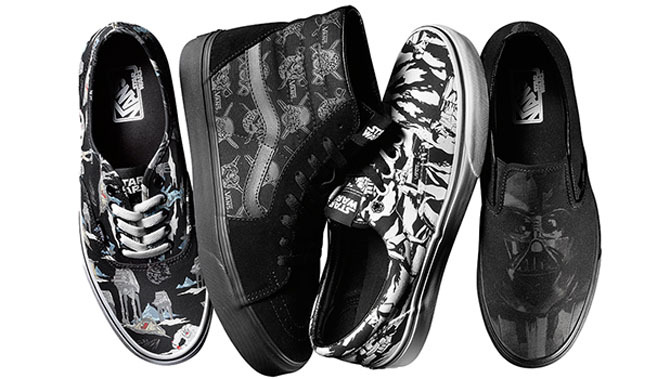 In addition, Vans Customs will be releasing limited edition Star Wars prints for fans to customize their own favorite sneakers, including the Authentic, Classic Slip-On and Sk8-Hi, with two new patterns. The collection launches globally on October 1st, and will be available at Vans.com, Vans flagships, and other select retailers. The Vans Customs releases will be available from October 15th through November 15th. As for the prices, adult sizes range from $60-$70, with kids and toddlers coming in at $37-42. 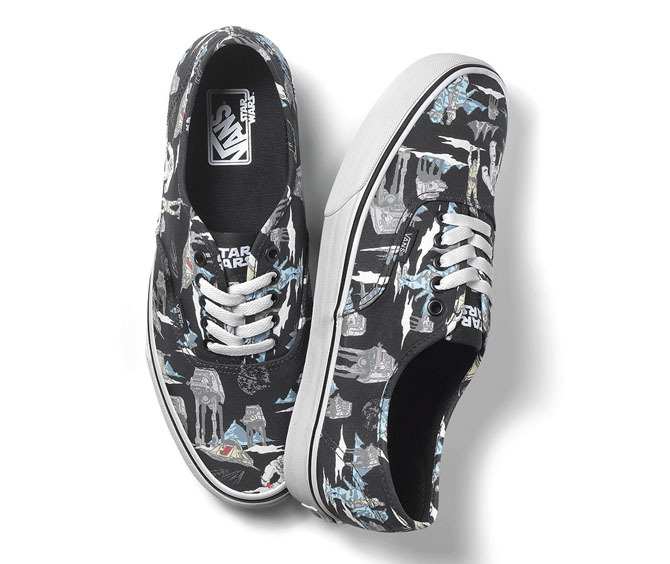 Check out Vans.com/StarWars for more.